Let’s Hear It for the Sisters! 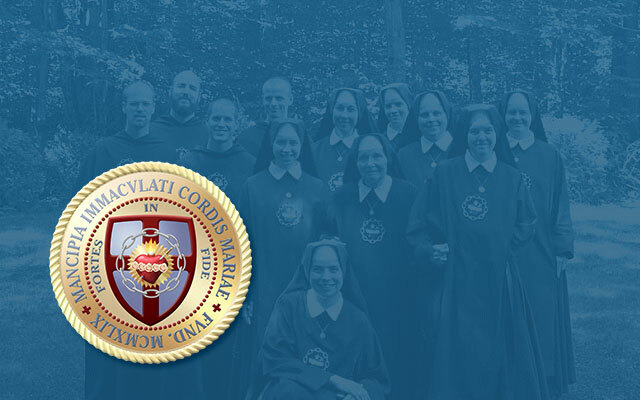 For the unaware, it should be made known that our sisters have a web site that is frequently updated with pieces of “educational philosophy and cultural miscellany from a classical Catholic viewpoint.” Their brief and frequent postings do not disappoint. The sisters have what I would call a heightened esthetic sense. (And I should know, being a past member of the Tubists Universal Brotherhood Association – TUBA, for short.) They enjoy the things that used to mark the refinement of Catholic ladies. Besides sanctity, gentle manners, and modesty, I would include among these a love for poetry (read the posting on “Lady of O”), art (it’s only a small indication of their talent, but look at the photographs they posted for Maria Walks among the Thorn and Ice Storm 2008), and music (listen to their Salve Regina CD). Now, ladylike and artful as they are, this is not to say they can’t get tough when they have to, as many a student can attest. And they can also think, as indicated by their appreciation for classical philosophy. Alas! it would be impossible to describe their cooking online; I don’t thing the technology exists. Suffice it to say, it’s good! Any young ladies interested in a vocation to the Slaves of the Immaculate Heart of Mary should contact the sisters. “The harvest indeed is great, but the labourers are few. Pray ye therefore the Lord of the harvest, that he send labourers into his harvest” (Luke 10:2).